Our routers offer everything you need to get connected to the internet. 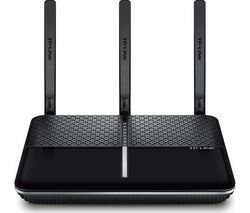 For the fastest, most reliable connections, even for large homes and multi-device families, a great router is what you need. With a growing number of devices popping up in our homes, from tablets and netbooks to laptops and smartphones, the demands on our internet connections are growing. A router allows all of the devices in your home to connect wirelessly to the internet – so it means you can say goodbye to cables. Our router range includes all of the leading names in solid router design, from TP-Link routers to Netgear routers , so you can always rely on a stable WiFi connection. 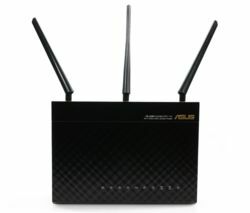 Our router selection is designed to meet the needs of small households to very large homes. It includes a range of 802.11ac models for the fastest possible WiFi speeds - 802.11ac technology is currently the world’s fastest WiFi, three times faster than 11n. Dual and Tri-Band models keep you even better connected by cutting out interference from other appliances. Whether you love to download and upload large files and stream lots of content at home, or you just want to make sure you have a secure, reliable connection for occasional shopping, browsing, email and Skype calls, we have the right router for you.